Young American adults own smartphones at a higher rate than any other age group. 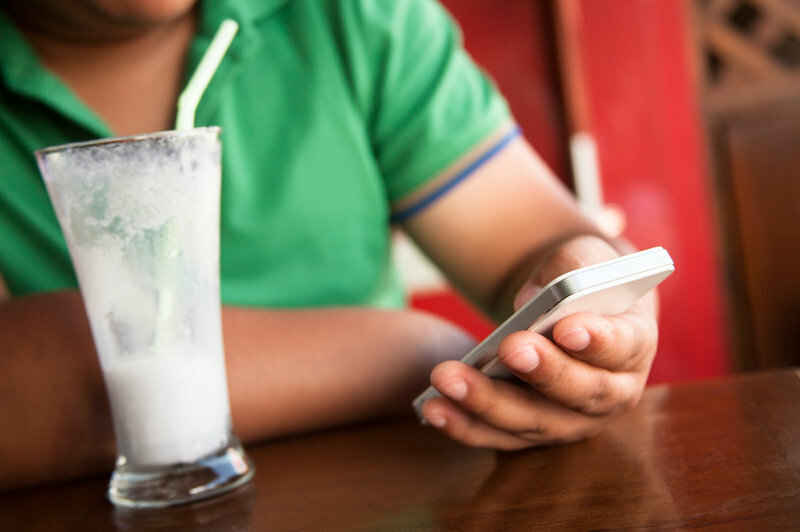 Researchers from Duke University wanted to see if capitalizing on that smartphone usage with a low-cost weight-loss app might help the 35 percent of young adults in the U.S. who are overweight or obese. The study, which was published Wednesday in the journal Obesity, looked at 365 young adults ages 18 to 35. A third of the participants used an Android app specifically created for the study, which not only tracked their calories, weight and exercise but also offered interactive features like goal setting, games and social support. Another third of the participants received six weekly personal coaching sessions,followed by monthly phone follow-ups. Plus, this personal coaching group was also encouraged to track their weight, calories and exercise via smartphone. The last third of the participants was put into a control group and given three handouts on healthy eating and exercise – nothing else. Researchers tracked the young adults’ progress after six months, one year and two years. The personal coaching group had lost more weight than the other two groups at the six-month mark, but that lead vanished at the one- and two-year follow-up. As for the group using the smartphone app, their average weight loss was never more than the other two groups. Lead author Laura Svetkey says that she and her colleagues were both surprised and disappointed at the results. “Given the seeming power of cell phone apps and frankly the popularity of these health and fitness apps in the commercial world, we thought this might be a really good strategy to provide effective intervention very broadly and potentially at low cost,” says Svetkey, a professor of medicine at Duke University School of Medicine. There are good reasons to help young adults control their weight. Weight gain during the young adult years is associated with a variety of health issues later in life, including metabolic syndrome and cardiovascular disease, Svetkey says. It’s not clear if these results would apply to apps that are commercially available. Svetkey says she is only familiar with one clinical study that looked at a popular commercial weight-loss app, and it was also found to be ineffective at promoting weight loss. Yet, she says, that’s not to say these apps won’t work for certain people in certain circumstances. We contacted Weight Watchers, which uses a combination of apps and coaching in a group setting, and MyFitnessPal, a very popular food and exercise tracking app, for comment but didn’t receive a response. These study results aren’t reason to give up hope about the potential for weight-loss apps, Svetkey adds, but instead are reason to intensify research efforts. More work is needed to understand how to harness the technology and leverage its strengths in a way that will lead people to change their eating and exercise behaviors, she says. Since I’m a young American adult who uses a popular weight-loss app on my iPhone, I wondered if there was any real harm in using one of these apps, even if they aren’t proven effective in research studies. I asked Svetkey for her thoughts.